While most headlines have focused on the divergent successes of Democrats and Republicans in the House and Senate, respectively, the 2018 midterm elections featured mixed results on another important dimension: electoral reform. Ballot measures on various aspects of election law appeared on the ballots in 14 states, and most of them passed. Voters in Colorado, Michigan, and Missouri (and possibly Utah) approved measures to establish more independent redistricting processes. 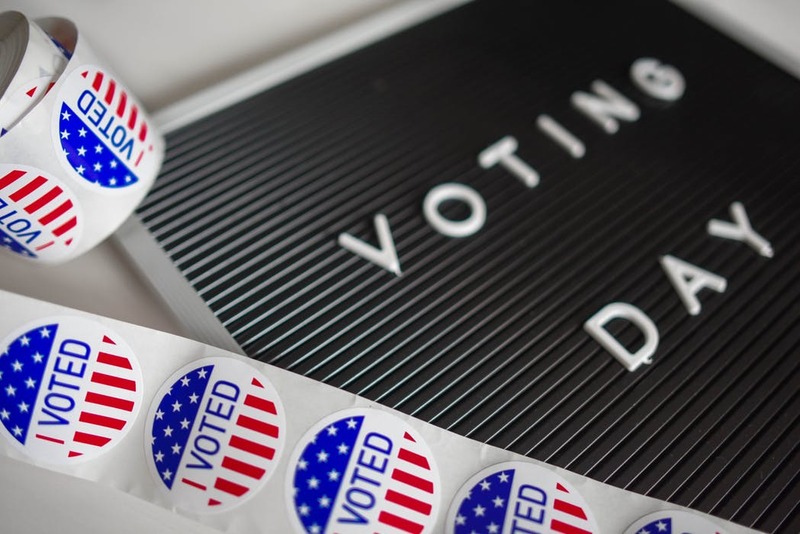 Michigan and Maryland voters passed laws to make registering to vote easier, and Florida voted to re-enfranchise approximately 1.4 million people who have completed sentences for prior felony convictions. At the same time, though, voters in Arkansas and North Carolina approved requirements that voters to show a photo ID at the polls, making it more difficult for many people (disproportionately members of minority groups) to vote. For nearly all activists involved in electoral reform, these outcomes will seem a mixed success. But to most citizens, these results all look like a win for democracy. Despite the clear divide in partisan activism on these issues, and the resulting geographic disparity in the direction of electoral reform measures, there is striking consensus among Americans in support of the most salient electoral reform proposals, regardless of which party tends to favor them. That attitudes toward electoral reforms have proven relatively resistant to polarization, despite the tense political climate, and despite activists’ efforts to unmask opponents’ electoral reform agendas as naked partisan power grabs, is rather remarkable. It suggests that most Americans (if not our political leaders) do actually have a deep commitment to the value of fair elections, coupled with an ecumenical perspective on the threats to that value. In short, the US is fertile ground for a democracy movement. The 2018 midterm results have left me cautiously optimistic for the prospects of an electoral reform agenda aimed at increasing voter turnout and increasing the representativeness of the electorate. But stoking citizens’ support for electoral reform into the kind of democracy movement that can spread popular practices like automatic voter registration – or even more dramatic reforms like an Election Day holiday – beyond progressive stronghold states will probably require finding a way to bundle the issues of fair electoral competition, voting rights, and electoral integrity together in a way that appeals more completely to citizens’ concerns about the electoral process. This will undoubtedly seem absurd to many of those fighting on the front lines of the battle for voting rights, since the cause of voting rights in recent years has become nearly synonymous with the fight against increasingly strict voter ID laws. But however suspect the motives of the activists and politicians behind such laws, the vast majority of activists continue to see voter ID laws as simply common sense and perfectly compatible with a general impulse to make voting easier and more accessible. Difficult as it may be to stomach, incorporating moderate voter ID laws into a progressive reform agenda might make a democracy movement more intuitively appealing to voters and better able to gain an enthusiastic following (the kind of enthusiastic following that can pressure reluctant politicians into enacting pro-democracy reforms). Such an agenda might also give progressives more leverage in pressing for reasonable accommodations within these laws and for ensuring effective access to the required form of ID. And, of course, there are good substantive reasons for progressives to want to wrest control of the election security issue from the forces of voter suppression. No amount of evidence, it seems, will be able to convince the public that in-person voter fraud is rare, and the persistent perception that voter fraud is a major problem does present a real threat to democracy in a society already characterized by deep distrust of the government and of the political opposition. Meanwhile there are other potentially significant threats to the integrity of elections (like faulty or hackable voting machines, and a lack of effective and impartial oversight) that might be most politically palatable as part of a comprehensive package of election security measures. I don’t mean to claim that this represents the only way forward for progressive electoral reform. Instead I want to emphasize that democracy-enthusiasts have a good opportunity to redirect Americans’ enthusiasm for systemic political change from the constant appeals of “outsider” campaigns toward a popular movement for election reform. We will need to think creatively, though, about how to make such a democracy movement exciting to ordinary citizens, and resistant to polarization. Emilee is an Assistant Professor of Political Science at Stanford. Her current research project examines the distinctive value of voting in contemporary democratic practice, and its significance for electoral reform and the ethics of participation.